1056 each Ariel S, Phobos S, Zanussi S; 880 Maypole A; 792 Deimos A; 176 Slinky Differential Little T P; 109 com, atw. First submitted Tuesday, 12 February 2019 at 00:22:19 by Jack E Page. 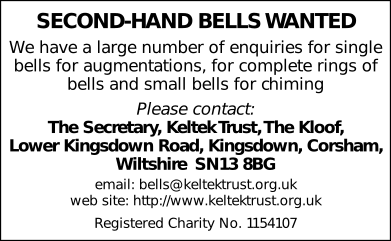 Sent for publication in The Ringing World on Tuesday, 12 February 2019 at 00:22:28, and printed in issue 5627, page 206. This performance has been viewed 997 times.